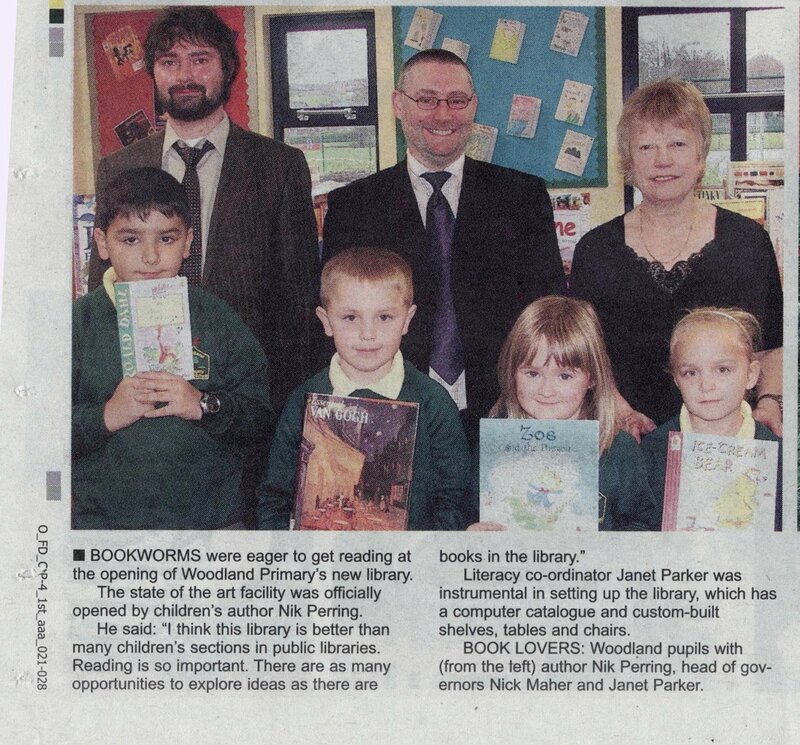 Thanks to Amy from the Heywood Advertiser for sending me this, a wee picture story of my visit and library opening a couple of weeks back. I’m still struggling a bit with this blinkin’ cold. It’s done my nose and chest and has now nestled in my throat. I hope to be better, and with a clearer head, very soon. There is much writing needs doing. I’ve mentioned the terrific Vulpes Libris site before (it’s one of those sites I must check at least once a week) and am happy to be able to point you their way again. I thoroughly enjoyed reading Rosy’s article on favourite (picture) books earlier. Well worth checking out, folks. You’ll make me blush! Thanks Anne. Yes, cold’s reluctantly leaving…Nik. Short story writer | Author | Editor | Teacher | Living in the UK and still not allowed a cat. I Met a Roman Last Night, What Did You Do?